This spacious, dual reclining sectional sofa allows you to create a family living room where you can sit back and relax comfortably with your family. Plush pillow arms sit on either side while the split seat back adds comfort. Prop your feet up on the chaise to be comfortable from head to toe. A gap protection system connects the back and seat back making sure your keys, phone and other small items don't get lost. 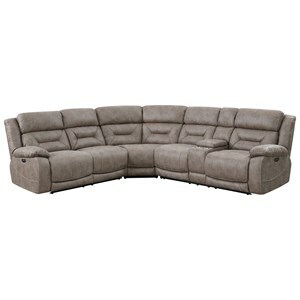 Casual and comfortable, use this power reclining sectional sofa to update your home. 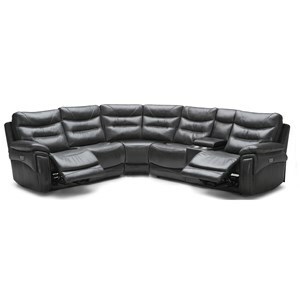 The 1711 Five Piece Power Reclining Sectional Sofa at Becker Furniture World in the Twin Cities, Minneapolis, St. Paul, Minnesota area. Product availability may vary. Contact us for the most current availability on this product. 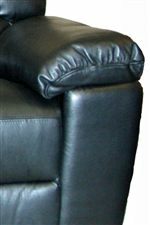 1711 1.5(LA)E Power Left Arm Recliner 1 39" 38" 41"
1711 1.5(OA) Armless Chair 2 30" 38" 41"
1711 1.5(RA)E Power Right Arm Recliner 1 39" 38" 41"
1711 C Corner Wedge 1 46" 38" 41"
Recliner Mechanism 300 ex series Leggett & Platt reclining mechanism. Frame Construction Framed are constructed of hardwoods and plywoods with high quality foam cushion cores including dacron wrap for comfort. Padding & Ergonomics 1/2 inch density foam. Warranty Five years on frame, two years on cushions, fabric/leather, springs and mechanism. 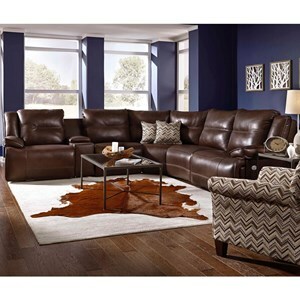 Comfy and casual, use a piece from this collection to update your home with a great place to relax. 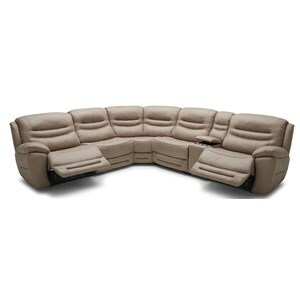 Use a glider recliner to create the best seat in the house while a sofa is perfect for gathering with friends. 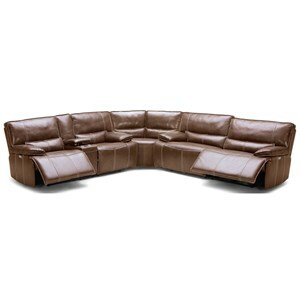 Plush pillow arms and cushioned seat backs add to the causal style and comfort of these piece. The 1711 collection is a great option if you are looking for Casual furniture in the Twin Cities, Minneapolis, St. Paul, Minnesota area.